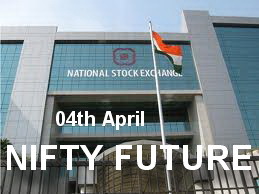 NF (5861) - Support remain same 5840-5820 but below that, next support 5740-5720 In upside, above 5885 up move 5945. most probably, optimum it going to top out around 5945 level !!! now this month, market concentration may turn to non index stocks (already some stocks indicated so). so NF may be charmless or down ! HDFC (708) - Posted on 04th Mar. above 670 upside target 708-718. as posted, it attacked the mentioned target on 31st mar. (it made a high of 715) now from here, if it correct, come down to 684-680 now above 718 upside momentum continue to 750-757. 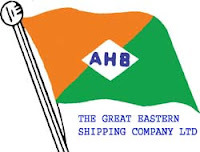 ABAN (643) - Support 625 & 605 and above this level minor resist at 655-658, this round ultimate target 683-693. FINANTECH (885) - Posted on 27th jan when it was trading around 700 level and again reminder on 03rd Feb. support 695 and said upside target 900_930 last friday it made a high 911. now what next ? Now it is time to take rest and correct but in case If it trade and stays above 935, upmove continue to 980-993. BOMDYEING ( 374) - Long consolidation is going on but as posted on 10th mar. if cross the hurdle 380-385, posted upper target 430-450 intact. BHEL ( 2128) - In downside support exists at 2050 and if trade and stays above 2150, this round ulitmate target 2300-2350.